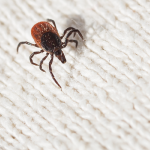 There’s the saying “out of sight; out of mind,” and this can definitely be true for natural tick spray. Because this is a natural product, the key to its effectiveness is routine spraying. Flea & Tick Control for Pets + Home is non-systemic (does not enter your dog’s bloodstream like other conventional pesticide products). That’s why keeping Flea & Tick Control for Pets + Home near your pup’s leash will be a helpful reminder to repel ticks by spraying before going on a walk. It will get your pup used to the routine, too! Flea & Tick Control for Pets + Home works by creating a barrier around your dog so that ticks are repelled before even reaching your dog. However, if you simply spray your dogs fur and let the natural tick spray sit on top of the fur, but it does not reach the skin, its effectiveness for repelling ticks can be lowered. 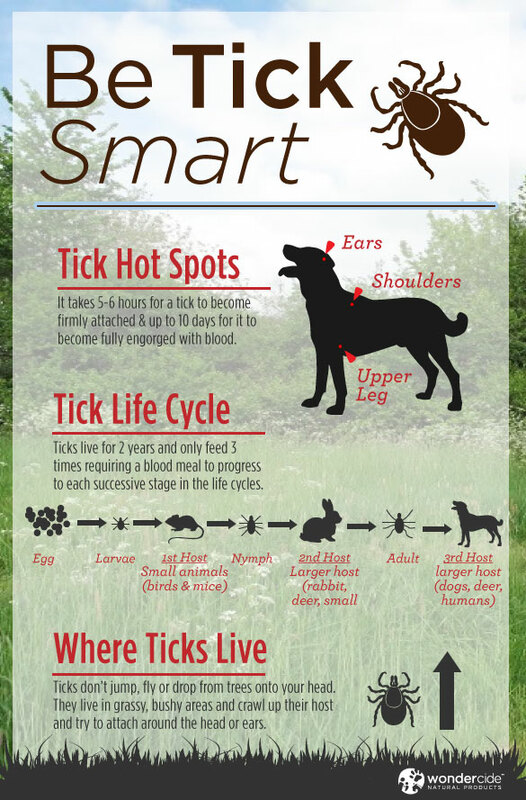 This is why you should rub your dog’s coat in the opposite direction of growth to make sure the natural tick spray reaches your dog’s skin and can create an effective barrier from ticks. This is related to tip #2 and making sure the product penetrates all areas of the skin. Once the product is sprayed onto your dog, give your dog a massage to make sure it spreads all over their body. Dogs love bonding with their owners, and the greatest way to bond with them is by taking them on a walk. Adding a massage in beforehand will only add to the experience that they enjoy so much. As long as routine maintenance is exercised when applying Flea & Tick Control for Pets + Home, you can easily repel ticks and do it safely. 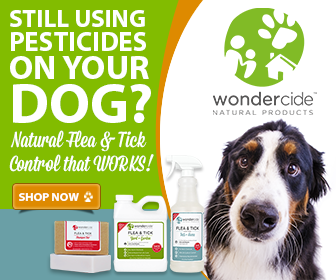 This natural tick spray will help you and your dog avoid all the side effects associated with conventional pesticides and help to give your dog a long and healthy life. 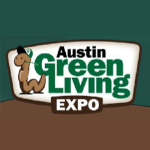 Do you have any suggestion for getting a dog to accept the cedar oil spray? My girl will stand to be sprayed, but then will start rubbing in the grass, scooting all over. She seems to be very sensitive to essential oils of any kind. Thanks. Thanks for sharing and happy to hear the product is working for you! We have found that with continued use dogs get used to it like anything else (changing food, new bed, etc). Dogs have a strong sense of smell and love to roll in all sorts of things (dead fish on the beach, cat poop, etc) and humans wouldn’t do that. But rest assured, it isn’t harming her and she will likely get use to it. It is a new aroma that isn’t “stinky” or “yummy” so some will roll in grass or other places. It is probably not a sensitivity to it as much as a preference or simply a new experience. With routine use you will likely see this behavior stop. Hope this helps! Do you have a product that will kill a tick once it’s attached to the dog? Thanks! Our Flea & Tick Control for Pets & Home kills fleas and ticks on contact. 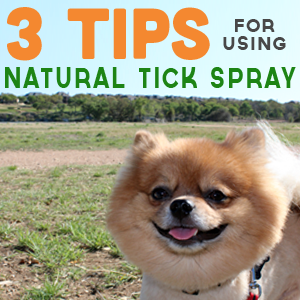 You can safely spray the tick while it is on your dog, and it will die! What about the dog ingesting the spray? Spot tick treatments are put in spots where dogs can’t reach when they lick themselves. This spray is topically applied everywhere on your dog so can’t they ingest it when they lick areas of their body which is impossible to prevent? I know that spot treatments get into their bloodstream but this situation would have it enter the digestive tract. Thanks for your question, Loretta! Wondercide is made with organic, human food-grade ingredients. While ingesting a large amount of product may cause some GI upset, Wondercide is not known to cause any short- or long-term damage if ingested. Hope that helps! This is some really good information about tick spraying. I just moved into a home that has a forest background. I am a little worried about my puppy getting a tick if he runs around in the forest. So it good to know that I can use a few products on him to prevent him from getting bit. I wonder if I would be hard to get the forest sprayed for ticks to help as well.